+ 4. 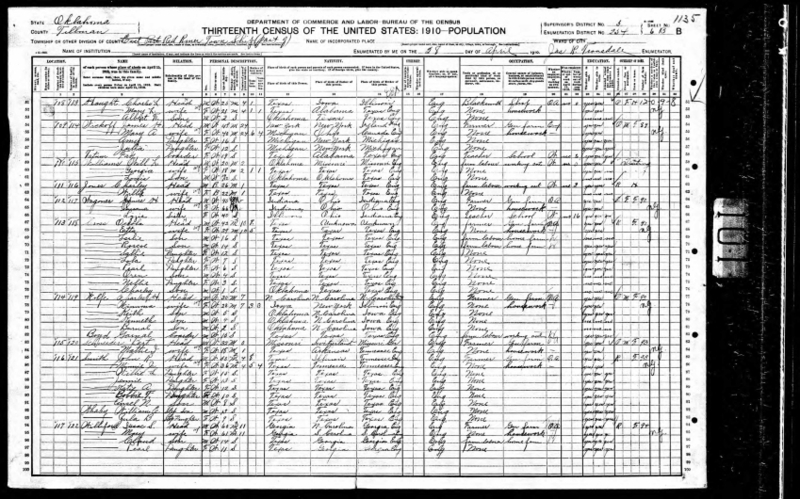 Samuel Glenn WHALEY, Sr.
[S263] 1900 United States Federal Census, Database online. 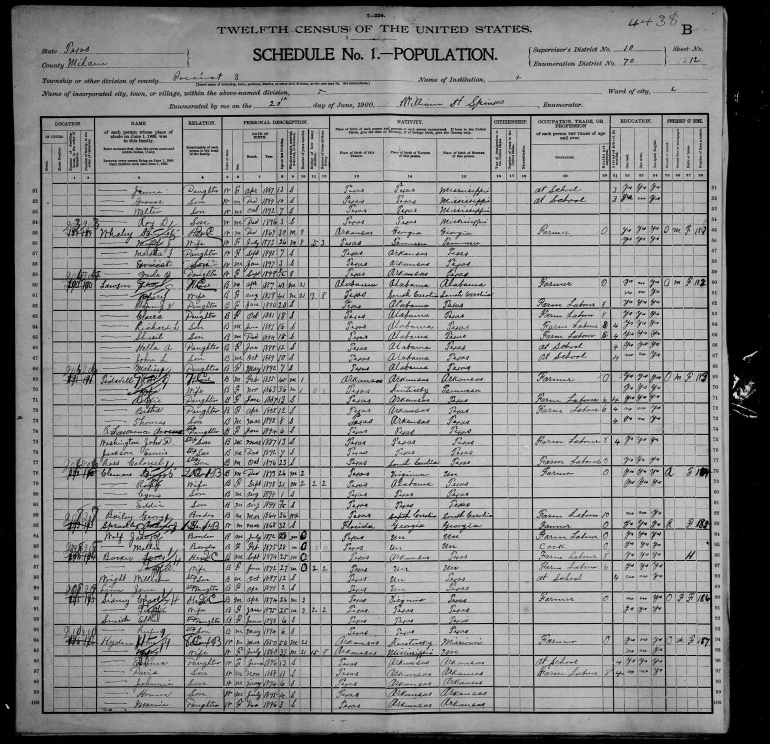 Year: 1900; Census Place: Justice Precinct 3, Milam, Texas; Roll: T623_31077_4118532; Page: 12B; Enumeration District: 0070; FHL microfilm: 1241657.